Norah Jones (born Geetali Norah Jones Shankar; March 30, 1979) is an American singer-songwriter, pianist, and actress. She is the daughter of Indian sitar player Ravi Shankar and Sue Jones. She is also Anoushka Shankar's half-sister. In 2002, she launched her solo music career with the release of the commercially successful and critically acclaimed album Come Away with Me, a fusion of country music and pop with elements of jazz which was certified diamond album, selling over 26 million copies. The record earned Jones five Grammy Awards, including the Album of the Year, Record of the Year, and Best New Artist. Her subsequent studio albums, Feels Like Home, released in 2004, Not Too Late, released in 2007, the same year she made her film debut in My Blueberry Nights, and her 2009 release The Fall all gained Platinum status, selling over a million copies and were generally well received by critics. 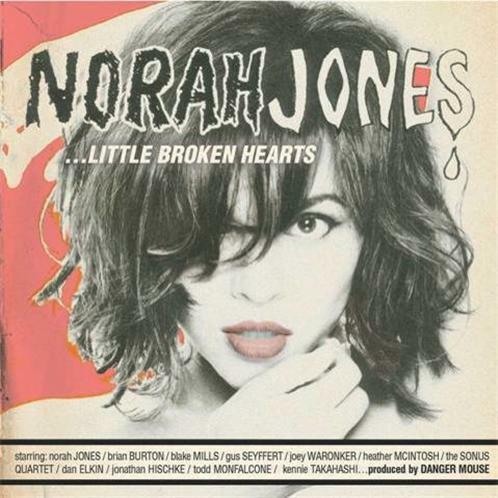 Jones' fifth studio album, Little Broken Hearts, was released on April 27, 2012. Jones has won nine Grammy Awards and was 60th on Billboard magazine's artists of the 20002009 decade chart.Throughout her career, Jones has won numerous awards and has sold more than 50 million albums worldwide. Billboard named her the top jazz artist of the 20002009 decade.